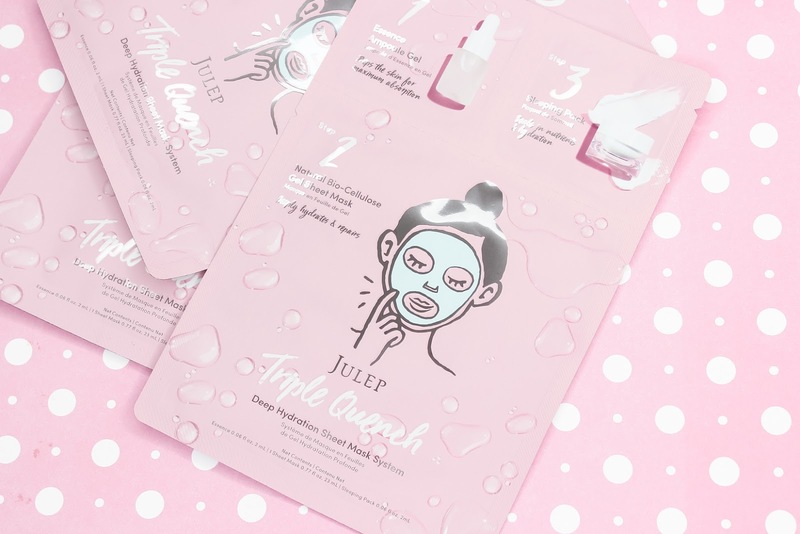 For November's Julep box, I skipped the polish and instead opted for a cuticle cream that does wonders when it comes to moisturizing, and a sheet mask treatment that's unlike anything I have tried before. This cuticle cream is infused with a blend of ingredients that set out to get your cuticles in tip top shape. There is Shea butter to moisturize, honey to heal and soothe, salicylic acid to brighten and get rid of dead skin cells, and vitamin B5 to help get the ingredients to quickly penetrate into the skin so no greasy residue will be left behind. I am really enjoying this cuticle cream. In fact, it's just what I needed since this cold season is wrecking havoc on my cuticles. This cream instantly softens and gives my cuticles some much needed moisture. Not to mention, it feels so refreshing on the skin when I apply it and massage it in. This is a 3-step treatment that deeply hydrates and nourishes skin, to reveal a brighter, softer and a plumper-looking complexion. The first step is to prep the skin with the essence which helps your skin better absorb the products. Next, you apply the hydrating and repairing bio-cellulose (all natural material that's made from coconut water and coconut pulp, that prevents the serum from evaporating away) gel sheet mask and leave it on for 15 minutes. Last but not least, apply a thin layer of the sleeping pack to seal in the nutrients and hydration. I haven't had the chance to give this mask a try yet but it sounds amazing and so promising. I am pretty sure I am going to love it! 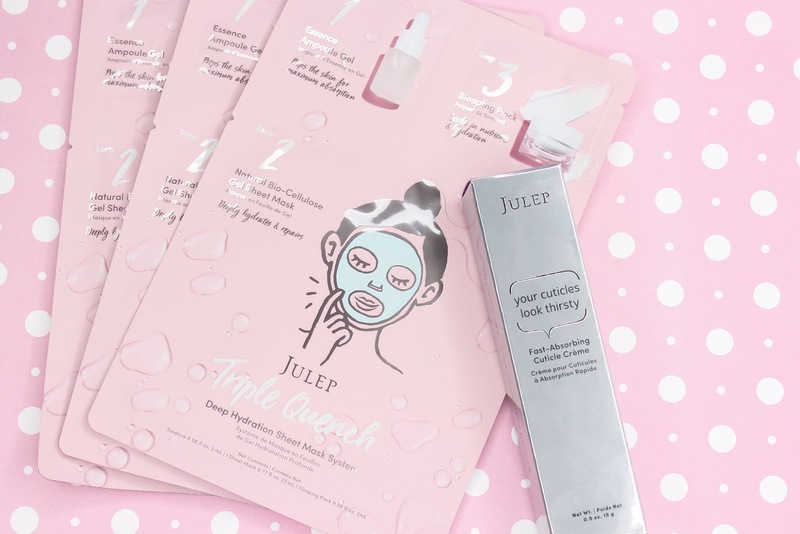 To sign up for a monthly Julep subscription, click here. What did you all receive in your November Julep boxes? Which are your favorite cuticle creams and face masks?